Do you have any questions concerning our products? your manufacturer for UV gels + permanent make up colours! You are here at: Karriere Distribution to wholesale only! Do you have any questions regarding our products? We would be happy to advise you! You can reach us from Monday to Thursday between 07 AM to 04 PM, on Friday from 07 AM to 01 PM. All our products are developed at our habitat Blieskastel. Our first-class production facilities, manufacturing methods and well-trained associates signify to quality 'made in Germany'. 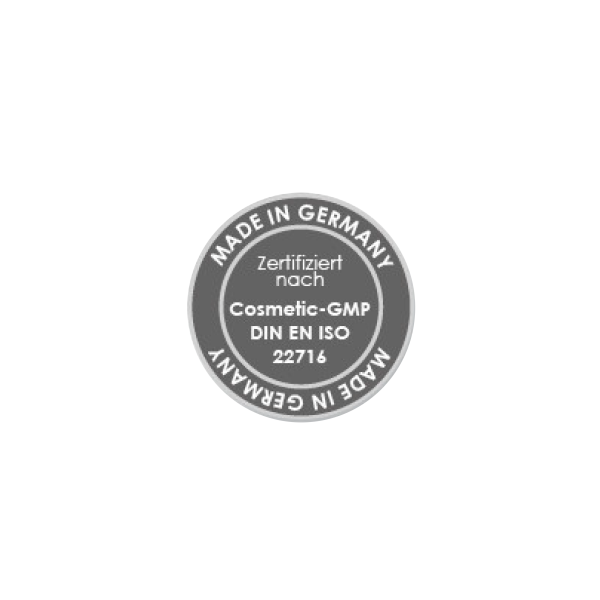 We are certified in accordance to Cosmetic-GMP DIN EN ISO 22716.